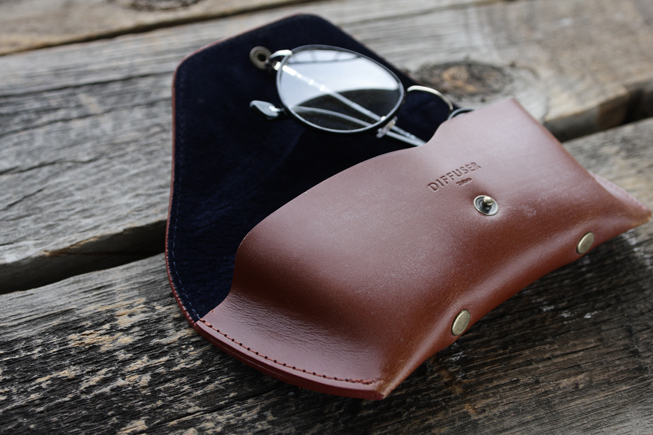 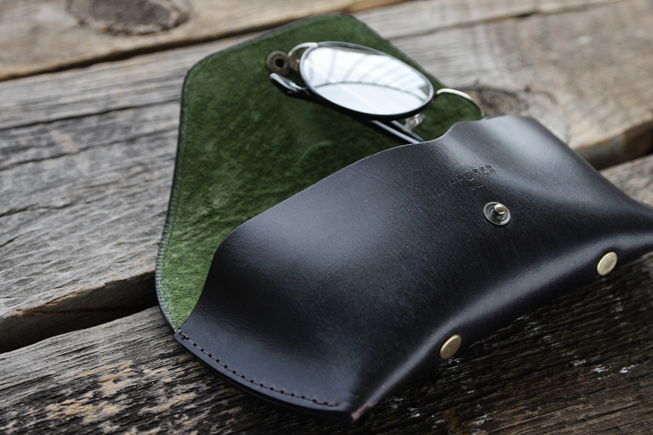 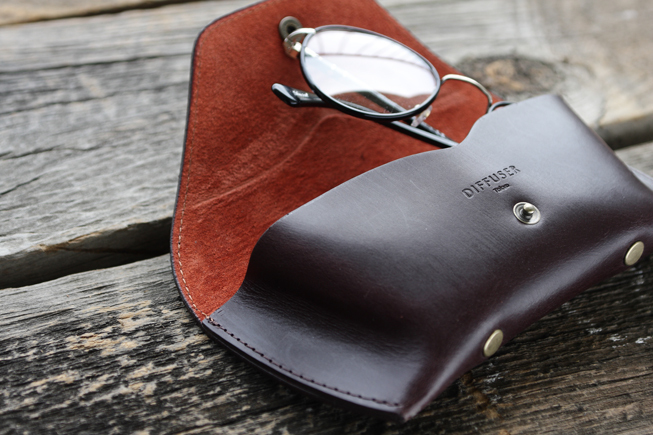 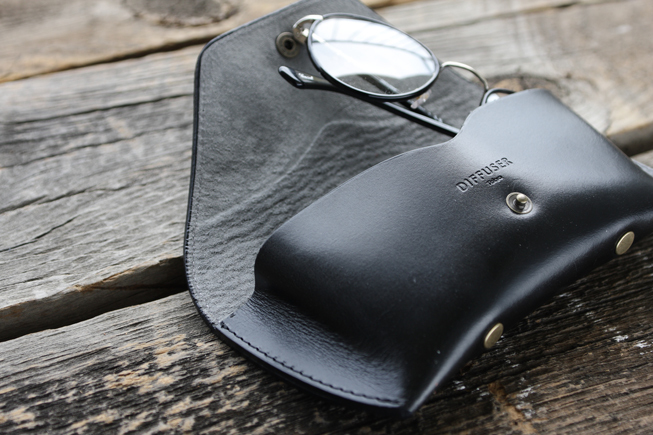 Eyewear case which has both hardness and dignity. 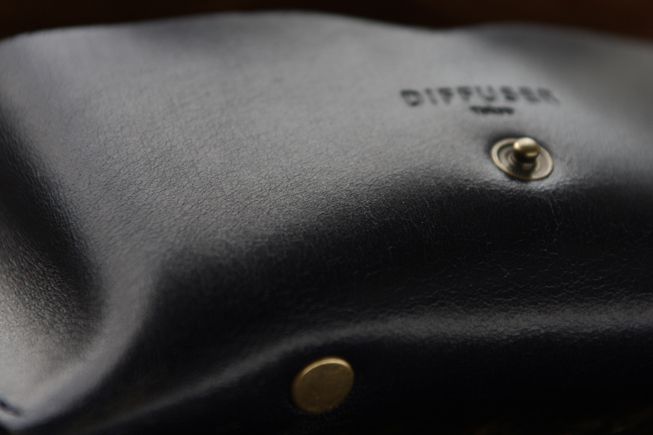 Bridle leather made in England is well known as material for harness. 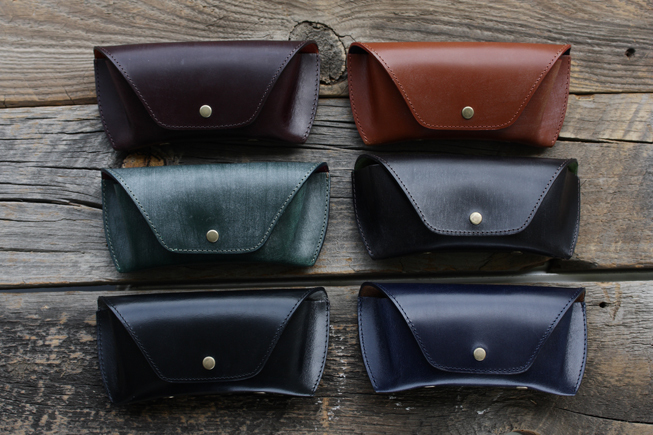 The feature of the surface is wax processed. 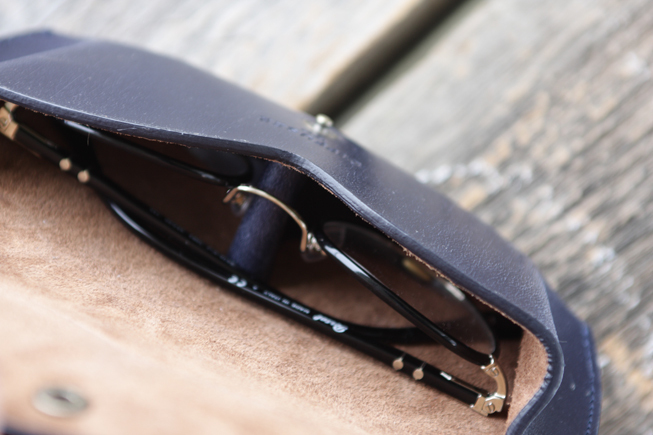 After use many times, fine powder of wax will be fitted in and will produce shinny face. 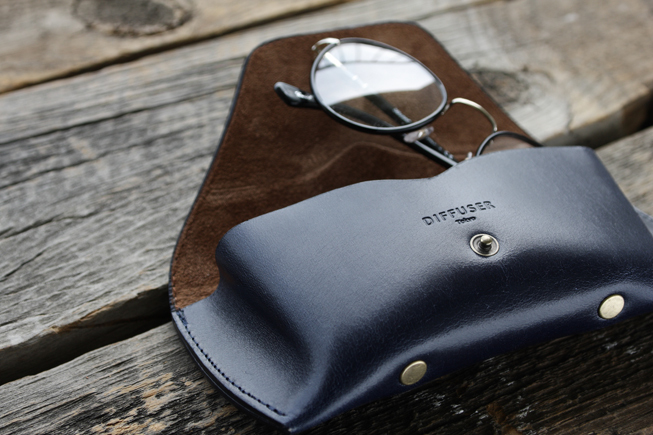 This finest leather has a good hardness and we designed it to perfectly protect eyewear by use of great hardness. 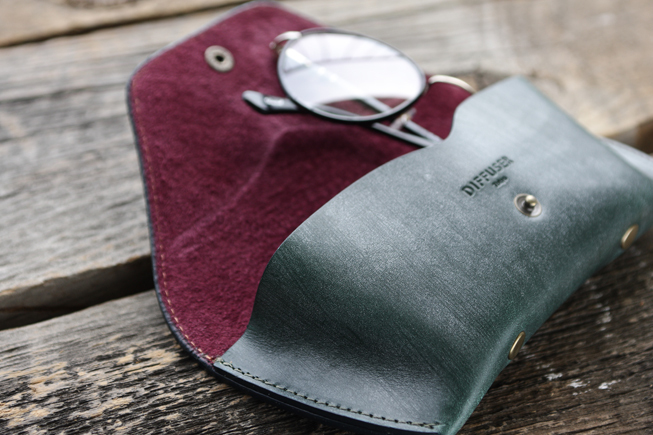 Small pig suede will be very comfortable for eyewear.